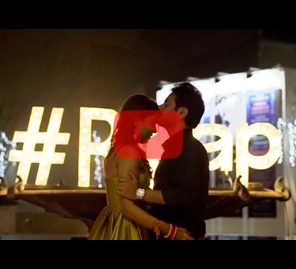 AIB’s Gursimran Khamba and Ismeet Kohli’s Unconventional and Funny Wedding Trailer is a full-blown Punjabi affair! While the AIB group brought together thousands of youth on Valentine’s Day this year on a common digital platform of #pyaarekdhokhahai, Gursimran Khamba seems to have not taken this movement seriously. 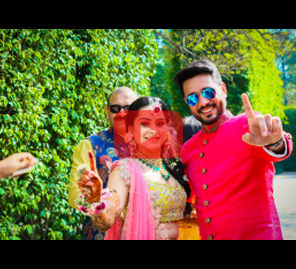 Khamba (as he is popularly known by his fans), one of the co-founders of India’s most popular comedy group tied the knot with his lady love Ismeet Kohli in a swaggy Punjabi wedding in Delhi this year. 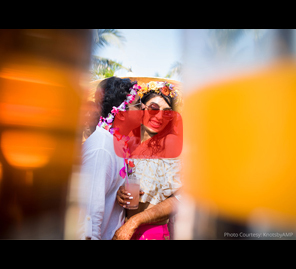 Check out his fun wedding trailer that has a hint of humor and captures the highlights from 3 of the most incredible days of their grand wedding celebration. You also get a glimpse of AIB’s other fellow members like Tanmay Bhat, Rohan Joshi and Ashish Shakya being the most excited Baraati’s ever! The ‘Koki Khamba Diwas’, as the AIB clan was calling the day of Khamba’s wedding saw the comics having immense fun.